Ballot measure language is notoriously confusing, but there’s one initiative involving the future of Santa Monica Municipal Airport that’s nothing short of a Jedi mind trick. Blame Han Solo. 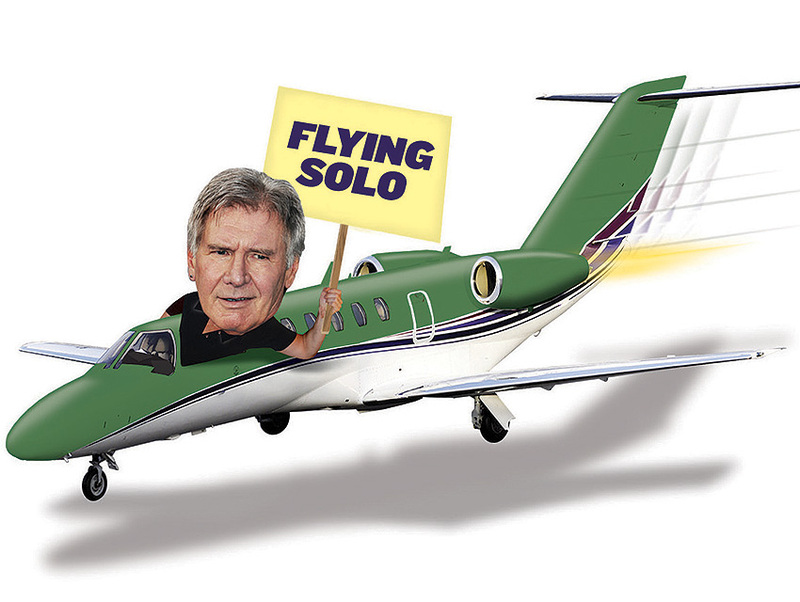 Harrison Ford, who has parked his private Cessna plane at SMO for ten years, is one of the supporters of Measure D. The initiative seeks to change the city charter so that any nonaviation plans for the airport must be put to a citywide vote. Power to the people, right? Not quite. After decades of residents railing against jet noise and air pollution, SMO is scheduled for closure in July 2015. By nullifying the local effort, Measure D would keep the airport up and flying. After losing a court battle over the “misleading” phrasing of Measure D, a grassroots coalition launched a counterstrike, adding Measure LC (for “local control”), which pushes for airport elimination and a plan for the city council to manage a plot of land that would include additional park space. Here’s to a juicy fight propelling a higher voter turnout.